Scans authorized by Hector. He owns the largest personnal collection on the internet . 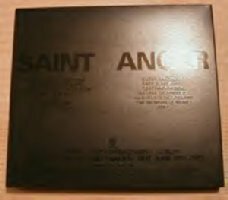 The factory in New zealand had the idea to include with the st-anger album a bonus CD (just like they did with the "antipodean tour edition). 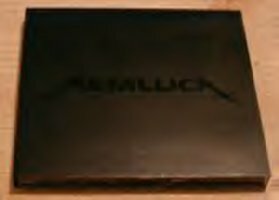 So, they started to press the promo CDs SACDP1 ( the same as the UK ones) and asked Metallica the authorization to sell the package album + promo. Metallica refused and the sale of this promo made in NZ was forbidden. According to Hector, there were only 3000 copies. I think that some of them have been destroyed. So, this limited item will certainly become a very hard-to-find one. The digipack contains two CD. One is called "Saint", the other "Anger". This promo is the same as the UK one but it mentions on the CDs and at the bottom of the back cover the caption 'made in New Zealand'.